Enfield Auto Restoration has been restoring antique, classic and sports cars since 1972. We are located in a 15,000 square foot building in Enfield, Connecticut. Our facilities enable us to provide high-quality craftsmanship in restoring vehicles to their original splendor. 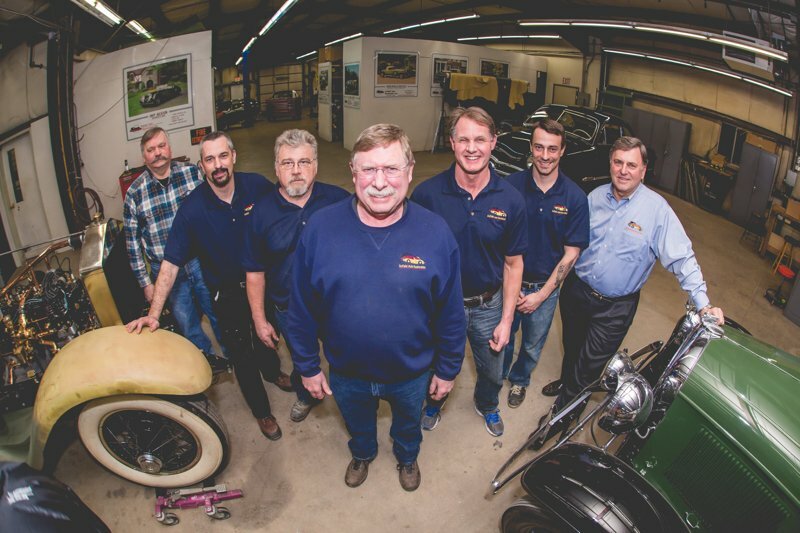 Enfield Auto Restoration has a loyal staff of craftsmen who have been with the company for many years and have restored cars from all over the United States. We not only take pride in our work but also in our customer service. Enfield Auto Restoration has a long list of satisfied customers. Our experts will come to you to discuss the possibilities for your project. There isn’t a project we can’t handle, whether you are looking for minor body repairs, custom upgrades, partial restoration or full restoration, we can get the job done. Enfield Auto Restoration will even work directly with your insurance company after an accident to restore your car or truck to its original condition. We offer free customer shuttle to and from Bradley International Airport for those who wish to fly in and see their cars during the restoration process. We have hosted many private and car club tours throughout the years. We can be reached at 860.749.7917 Monday-Friday 6:30 a.m – 5:00 p.m.